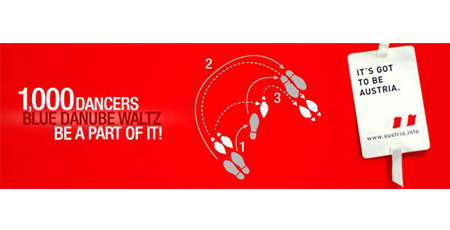 Immerse yourself in the romantic beauty of the Viennese Waltz at the first-ever DANCE AUSTRIA! – a dazzling evening of original performances by Austria and New York's most gifted dancers, the mellifluous sounds of Juilliard, special guests, a trip giveaway and surprises – Austrian-style. And best of all, YOU take center stage. Our professional dance team will show you the moves-and as part of our grand finale, we invite you to waltz under stars at Lincoln Center! Get your FREE ticket at www.thebigwaltz.austria.info and share this event with your friends.